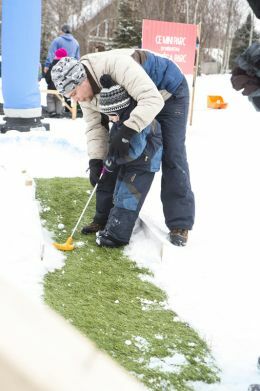 On Saturday 18, a mountain was built in the city and we invited the kids to come and snowboard for the first time. 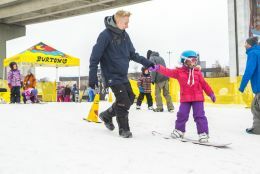 Burton provided the equipement and the staff were on site giving kids free lessons. On Sunday, we moved the World Snow Day at the mountain and let the kids play in the snow. 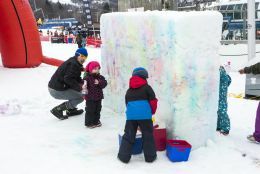 Inflatable game, snowflakes winter mural, ice rink relay races, Mini-Gulf and other activities were created for a perfect day at the mountain.